Residential DSL, VDSL & Cable Internet. Your presence on the Internet is a must to promote your business or professional services. We offer custom affordable website design for businesses or special events (like weddings, Corporate events). Our web designers have years of experience and are passionate for designing modern, user-friendly and attractive websites in Wordpress and HTML Also E-Commerce. We do maintain, redesign and develop websites. We offer both a Lara Home Phone (VoIP full phone) service and a standard Long Distance package. Our Lara Home Phone is unlimited calling across all Provinces in Canada (excluding Territories) and includes all the bells and whistles of an expensive package but at a fraction of the price. Domain registration starting at $18.95 per year. 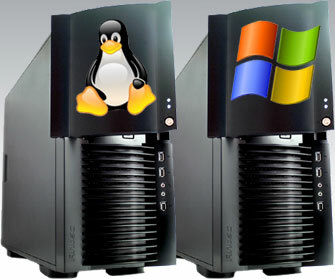 Hosting services for your domain on either Linux or Windows servers. Lara offers a full range of PC repair services for Homes and Offices. Part of our scope of work: Virus, malware, spyware removal and prevention. We install wired and wireless Networks for Homes and Offices.